Have been seeing too many different defending tips,it’s time to share with our own attacking tips now and we start with a finese shot tutorial.The finesse shot is one of the most overpowered methods of scoring on the entire game and we highly recommend you implement it into your game- plan straight away. We haven’t covered long finesse shots in this post but that will be covered by us in our long-shot tutorial that’s coming soon. This technique is more effective and OP from close range anyway, and from distance it’s less effective. You should always use finesse by pressing RB + B on the Xbox or R1 + circle on the PlayStation when the goalkeeper commits to the ground and try’s to claim the ball from your players feet. All you have to do is put limited power into the shot and simply slot it in underneath the keepers body as he goes to ground. Of course you can choose to use the lob shot or just blast it, but we’ve found that this is the most effective way of ensuring that you’ll have a goal at the end of the move and it’s in the back of the net. Now we’re going to talk about one-on-ones with the goalie and the whole goal at your mercy. 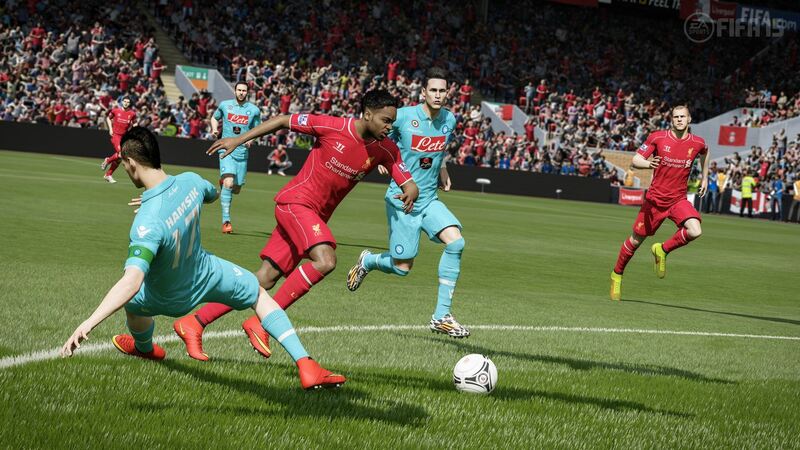 Most FIFA 15 players will just press the shoot button and either aim for a corner or hope for the best. This is not the way to guaranteeing that you will score a goal, instead you need to narrow the angle and swerve the ball around the keeper and into one of the top corners. What you’ve got to remember, is the finesse shot is completely OP and also it ensures that the ball curls around the hopeless goalkeeper so that he can’t get his hands to it to make the save. We hope that this tutorial is helpful to you to score more goals on FIFA and win more matches online and offline.We’ll have more tips and tricks for attacking soon,see more at fifa15-coins.com.